Kara told me right away that she had no trouble shooting during the colder, darker months. She loves the wintry weather. That made me happy because I’m all about it as well. 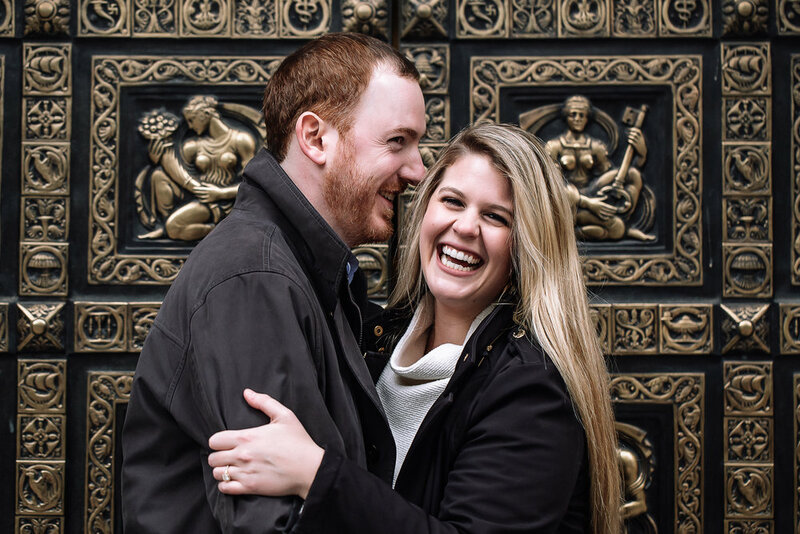 So we made sure that we shot her and Chris’ engagement session before the weather warmed up. 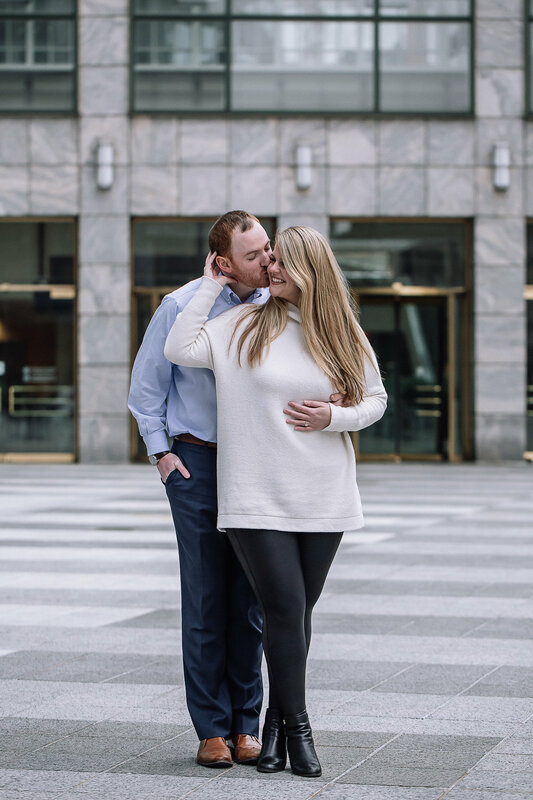 Since they are getting married downtown, at The Foundation for the Carolinas, they wanted to incorporate the downtown scenery into their engagement session. We walked around (we kinda had to keep moving to stay warm) the city, exploring fun places for photo ops and doing our best not to get kicked out of anywhere. 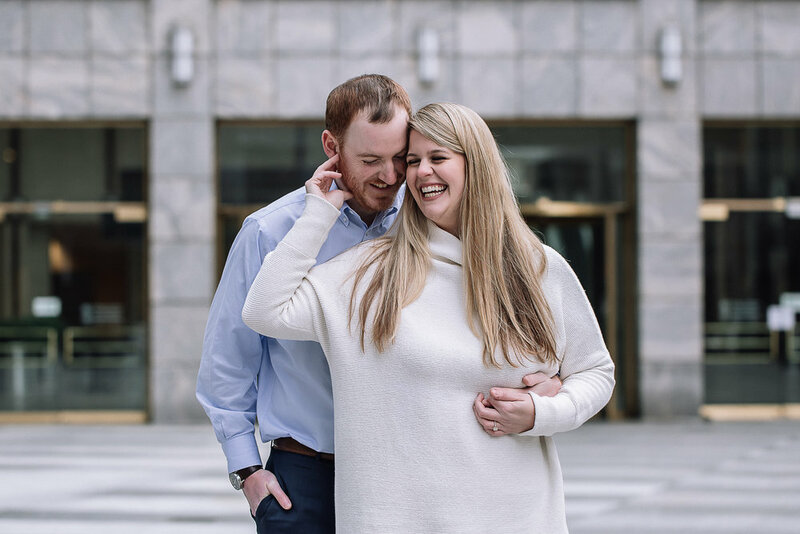 These two have such a beautifully natural chemistry that it made their session so easy. They just flow together and when they laugh, it’s the cutest thing I’ve ever seen. I had so much fun getting to know them! Their September wedding is going to be so beautiful! I can’t wait! Fun Fact: I ran into them a few weeks later at Harris Teeter. Found out that we are practically neighbors!